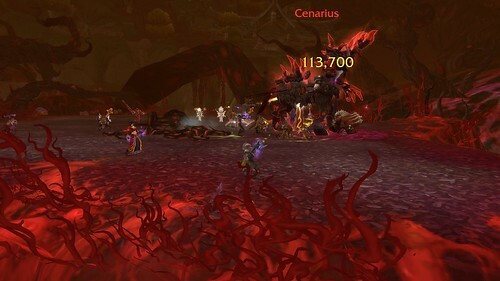 We downed Argus in LFR mode so people would be able to see the Silithus quests and do that questline. Also, we can now speculate on just what Illidan is up to with Sargeras. I wager we have not see the last of them. We will continue to make our way through Antorus on normal mode. For people interested in learning the fights or gearing up, Mizauki will be doing a run of LFR Antorus once a week, with exceptions for vacations. These will usually happen on Wednesdays as we tend to have Wednesdays open, but not always. Just wave when she asks if anyone wants to go. Note: These may start as early as 8 p.m. server time as they aren't calendar events. Do not get upset when you log on and a group are in LFR. Just let her know you're interested and be prepared to log in early. We cleared Tomb of Sargeras on normal. Kil'jaden was a fun fight and visually stunning. The developers and designers of the game have made some incredible visual effects in raids throughout this expansion. Makes me excited to see what's in store for us in BfA and makes me understand why the graphics requirements listed for computers are what they are. We are giving Tomb a rest, for the moment. I believe a number of us have one of those repeatedly kill someone quests to get a key to move quickly into deeper bosses of Tomb, but we've decided there are other things which require our attention. 1) Balance of Power, the bane of every player's existance. Requires: Level 110, Completing A Glorious Campaign, Questing in Azsuna up until Hunger's End completion. This is from WOWHead. This is the quest line. We know a few mains are working through this. Quite a few of you have sent letters asking for Emerald Nightmare and/or Nighthold. Because we can blast through both of these raids in our 2 hours window, we have decided to place them on the schedule for the first weekend of every month from now through July. Bring your main. Bring your alt. Whatever toon needs the raid. Check the schedule and sign up. In tandem with this, if you finish, say step 9, and you need Vault of the Wardens, Arcway, and Court of Stars, let Roaranor know. We will be happy to run through things for you. Note: You cannot advance quest lines in 5-mans in mythic plusses IF they involve a gathering component. If all you need to do is kill a boss, that can be done in a plus. Nothing else can. 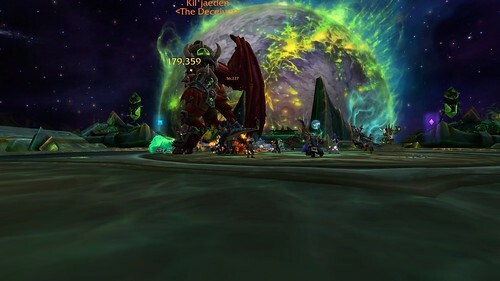 Our other progression event will be a mythic attack of Emerald Nightmare late month. It will be a good test of our abilities and adaptability. We'll see how far we get. It promises to be quite the evening. Other raiding events are on the schedule. Deathtacular has not cleared Warlords of Draenor raiding content. If you have a level 100 horde, you're invited to come Monday, March 12th, as we clear Highmaul. For new members, you must have a toon in Spectacular Death in order to place a horde in Deathtacular. Mondays generally are "Play Your Horde Night", but that can be co-opted for SD events. Come on along. It will be fun. 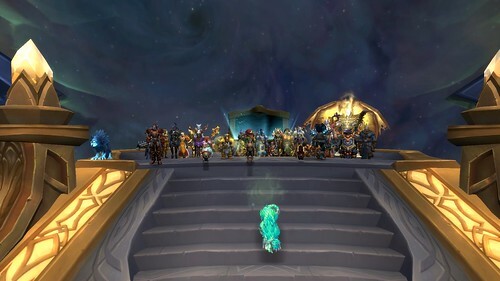 Based on responses from a poll taken at the beginning of the year, there is interest in running Icecrown Citadel on our Legacy toons. We intend to do that in April. 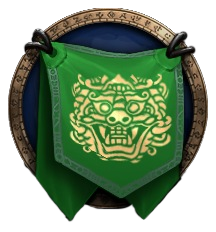 Therefore, we have placed on the schedule, several Legacy leveling/gearing runs. If you'd like to join in, your toon's XP needs to be frozen at level 80, which you do by going to the Stormwind Keep and speaking to a rogue in the room to the right of the throne. We ask that you not run ICC with your Legacy toon. We will be running Trial of the Crusader because this raid would have provided the gear which toons used, in addition to Ulduar gear, to get into ICC. When we started working on ICC as a guild, we used Ulduar gear. If your Legacy toon is in the storage guild, Eats Bacon, you are welcome to bring it back to SD for this event and move it back into Eats Bacon when this event is done. Once we have determined the date for the raid, we will ask for gems, enchants, and mats for flasks and food. These items will be the same as Ulduar. We are going to cap off the month with a mythic run of Siege of Orgrimmar. A number of people have asked for this as they never saw this raid in mythic format. Hunters, if you are interested in taming Thok, who was the bane of our existance as we learned this raid, please let Tarsan or Mizauki know. One hunter will be able to tame him when we run this event. We hope to see you at a raiding event in March. If you have questions about any of our planned raids, talk to myself, Tarsan, or Mizauki. I want to toss this out there so people can ruminate on it. For the past 5 years, we've gotten together for a guild meet-up. 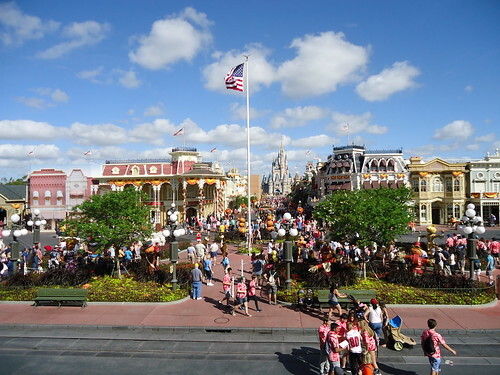 Of course, last year's was at Disney World for our 10th anniversary. Must be between the last weekend in May and the second weekend of September. This helps our teacher and student guild members. Must be in a location which can accomodate from 10-25 people. This will include spouses and children. At the Wednesday game night, when we were at Disney, we had 20 people. The prior year's meet-up was 22 people at my daughter's house. The venue must have adequate parking for everyone. Must be in a location with hotels and be reasonably easy to get to. Some guild members come from a distance and will happily stay in a hotel to make the meet-up. We are well-versed in "Please bring something.". People have brought cups, napkins, soda, salads, chips, desserts, alcohol, hot dogs, buns, etc. Directing attendees to local groceries is also good. You don't have to fund much of the food. We always had extra food at the end, too. The event usually runs from 4-10 p.m., which allows people coming to decide about driving home or to go to a hotel. We usually grill, sit around and talk. We've had games and a pinata in the past. The 3rd and 4th meet-ups had themes. If you decide you wish to organize the meet-up, you do not have to create the theme. Once a location is selected, we can work on other details. The people who usually come to these are great about ideas and we've also just spent the evening talking without having any kind of theme. If you are interested, please post here. We need to make a decision within the next month so people can plan time off, if they want to come. 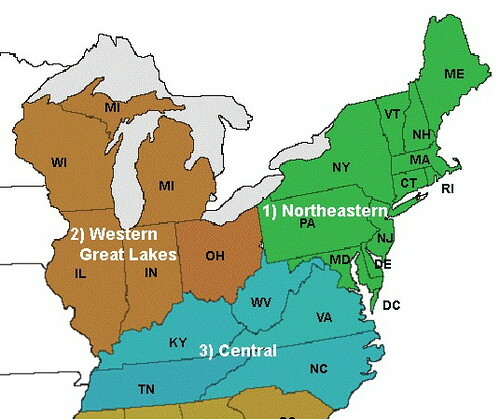 I'm pretty sure we are open to most anything, but the eastern half of the US seems to work best. This area is reasonably easy for most guild members to get to. We don't have to do a meet-up this year. After all, last year was pretty spectacular. I'm throwing this out there so we can start the thought processes. I'd love to see people again. I just don't want to plan it. If you have any questions about what's entailed with hosting, please talk to me. Our January tmog contest was held the day I came down with the flu. In the tmog folder, I have all the screenshots I took, but can't, for the life of me, find the note on which I wrote who was who. I do know that Gizmo won with his tmog homage to the 1970's disco era. We met in one of the flight tunnels in Ironforge, above the throne room. It was perfect for showing off the glow. Tarsan was second and Gimmlette was third. In the forum, I have posted the photos and the names of, I think, some people. Please take a look and let me know who is who because I just don't know. Thanks. So, a reminder, this month's tmog theme is the Olympic Rings. Pick one of the colors of the rings and make your tmog that color. Gizmo is our judge this month and you need to send him an in-game letter with a list of your transmog. Consider the letter the "fee" for entering the contest. We will meet in our usual spot in Stormwind on Friday, February 23rd. After that, if you need help finding elders for the Lunar Festival, we can help you. I decided not to enter Gimm this time. I'm putting together a tmog on a different character as a challenge. I'm looking forward to your tmogs. With the game in Alpha, we know that's possibly a 3 month process and then it goes to beta. Having been in Warlords beta, that lasted 3 months. So, perhaps, Battle for Azeroth is 6 months away? Therefore, it's time for the "Guess The Release Date" contest. In the thread, you will post the date you think BfA will drop. You get ONE GUESS ONLY. You may guess a date already chosen. The contest starts today and ends on March 11th, which is, incidentally, the return of Daylight Savings time in the US. There will be fantastic prizes. I'm not sure, right now, what they will be, but they will be fantastic. If you want some inspiration for your guess, go to the thread. I've listed the dates the other expansions released on. Now that I'm not huddled in bed under blankets or cats, it's time to announce the theme for this month's transmog contest. The winners of last month's will be posted shortly. In honor of the Olympics, Connacher suggested we do an Olympic transmog theme. So, here we go. As you know, there are five colors of rings. 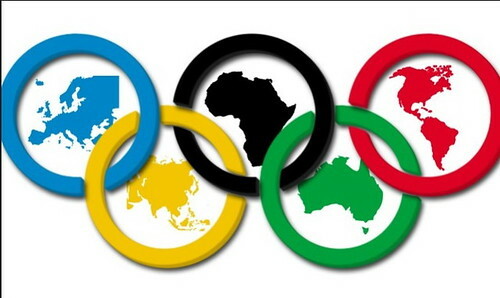 The five rings represent the five continents. A color from the rings can be found in all the flags of nations. Here's your task. Pick one of the colors of the rings. 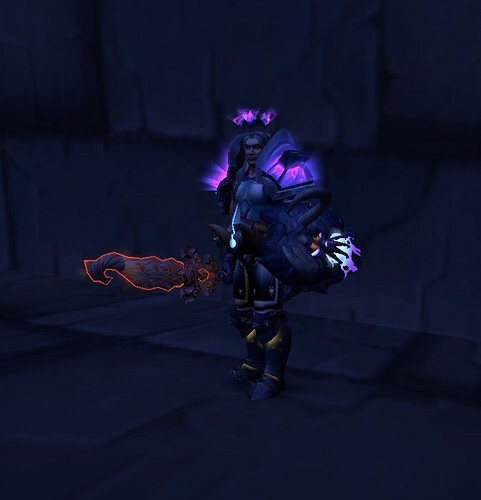 Make your tmog around that color. We will meet up in Stormwind on Friday, February 23rd, 9 p.m., to see everyone's tmog. Here's an additional personal challenge. For some classes, making an all yellow or all green tmog is as simple as selecting a gear set. Pick a color you don't have in abundance in your wardrobe. Give yourself a challenge to make something you have to go hunting pieces for. 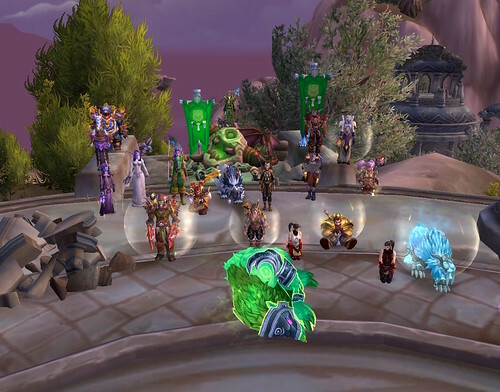 Consider our tmog contest a warm up for the next week when the "Trail of Style" returns.